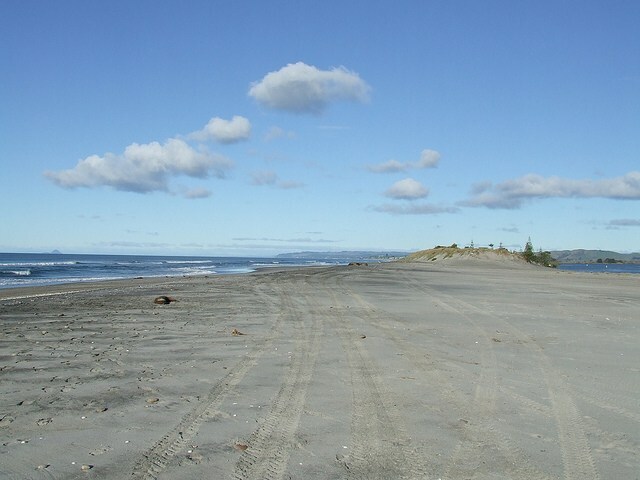 Pukehina Beach has a well-established user base and this number is magnified during the summer months with a full motor camp. The beaches shape and hazards change a great deal from the southeast end where you enter the beach up to the northwest end. Swimmers are advised to use the northern end of the beach as waves break more evenly and there isn't the same shore dump and under current. The whole beach frequently gets waves and when surf is over a metre the entire beach is hazardous. Surfing and fishing are popular at the northern end around the estuary mouth and people using this area should be very careful. Pukehina Beach has a Lifeguarding service and all beach patrons should swim between the flags and listen to advice of the Lifeguards. 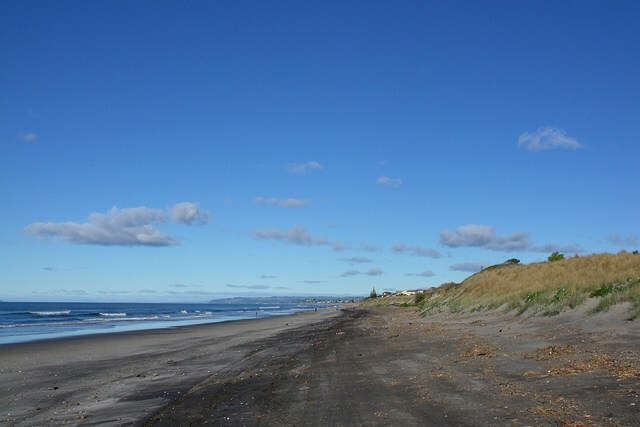 Pukehina Beach has residential housing lining both sides of the 6 kilometres road that runs from the southeast end to the northwest end. Nearly all of this housing is within 60 metres of the beach providing a good base of beach users, and more importantly swimmers during the summer months. The beach is safe when there are little to no swell but becomes very dangerous in larger waves. The southeast end of the beach is the safer location for swimming. Surfing is popular and the beach can have good surfing bars anywhere along its shores although the best waves are generally had at the northwest end of the beach near the estuary mouth. 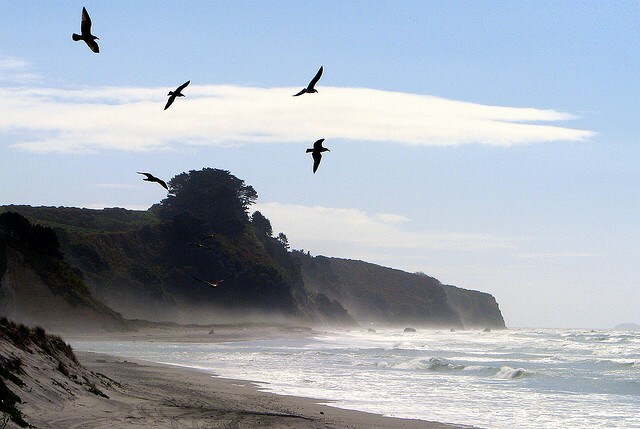 The beach is offshore in a southwest wind and can be surfed on any tide. Fishing is best at the northwest end of the beach around the estuary mouth. The water is deeper at this end and the estuary mouth also attracts fish. Boats can be launched into the estuary giving access to great offshore fishing. Only small boats are recommended for this at high tide on low wave energy days. Surfcasting is very popular. The area has a lot of underlying reefs and rocks that attract fish and keep them in the area. The beach is our favourite playground, but it can also be a dangerous place. 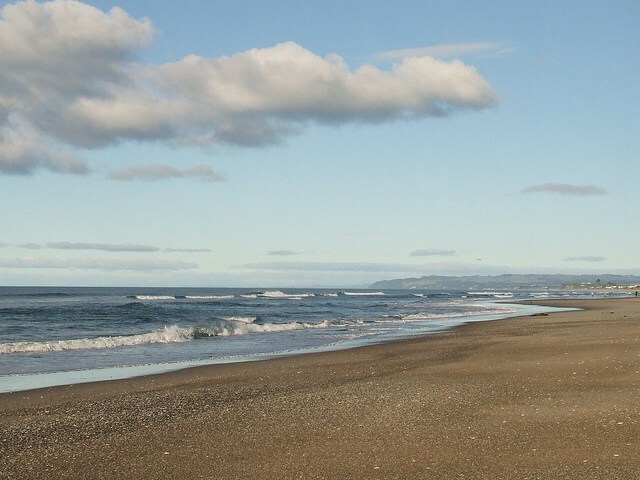 Learn about the hazards at Pukehina Beach and be prepared so you and your family can enjoy the sun, sea and sand safely this summer. 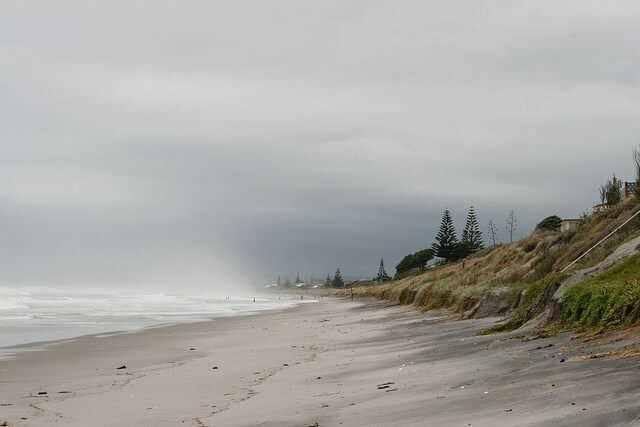 Pukehina Beach is a patrolled beach. Pukehina Beach is patrolled on Saturdays, Sundays and Public Holidays from 8 December 2018 to 24 February 2019. Volunteer lifeguards patrol on Sundays only from 10:00am to 2:00pm between 11 November 2018 and 2 December 2018. Between 8 December 2018 and 24 February 2019 volunteer lifeguards patrol from 10:00am to 4:30pm all weekend. A Regional Lifeguard Service operates from 10:00am to 6:00pm from 24 December to 18 January. Pukehina Beach is located 28 kilometres from Te Puke on the east coast of the North Island. The beach is 6 kilometres in length. 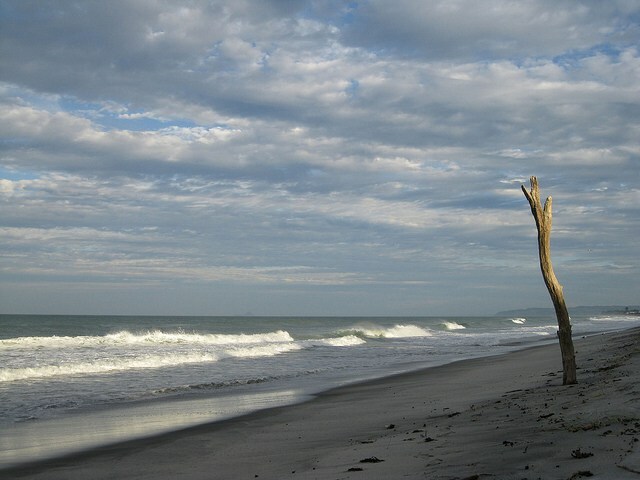 The northwest end is the most well used area as this is where the best fishing and surfing spots are located. This is also the most dangerous end of the beach with a tidal estuary that has a strong rip on an outgoing tide. The inside of this same estuary is a good safe place to swim when the waves and rips are too strong at the beach. Also the beach slopes steeply into the ocean and is over head height only a few metres from the beach. This end of the beach has strong rips and a nasty shore dump. The newly built Pukehina combined services centre is located at the northwest end also. The southeast end slopes into the ocean at a more gentler rate and has more useable beach space making it a more popular swimming location.